To say Allo had an underwhelming release would be an understatement. 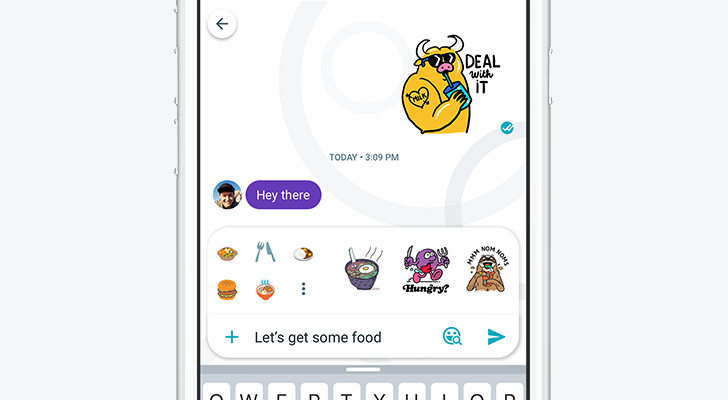 The Allo 2.0 update helped matters slightly, and today Google announced three new features - chat themes, Smart Smiley, and stickers from the upcoming "Fantastic Beats and Where to Find Them" film. First up are chat themes, which were hidden in the code for Allo 2.0 and could be activated with root access. Now they are official, with a large variety of included themes to choose from. You can also use the monochrome mode in Allo 2.0 to make reading messages a bit easier. Next is 'Smart Smiley,' which is a new button next to the send button in chat. Tapping on it will reveal suggested emojis and stickers, based on the contents of your message. Google claims most users only send about 3% of all available emojis, which isn't surprising when Unicode has implemented over 1,000 emoji. The idea is neat in concept, but I'm not sure how often this will actually be used. Finally, there are now stickers from the much-hyped "Fantastic Beasts and Where to Find Them" film. The stickers mostly feature characters from the film, and they look particularly well-done. Google has already added wizard fun to Search, Maps, and Daydream, so it's no surprise to see these stickers. The app update is still rolling out, but if you're impatient, you can grab it from APKMirror right now. Amazon Music Unlimited family plan is available in the U.S.